I've been missing out on Realms of Ancient War news. When I caught this video I was pleasantly surprised. It covers your basic ARPG elements: setting, classes, loot, and co-op. I don't know, something about the visuals is "doing it" for me. Maybe it's all the nice area of effect spells and powers that radiate from the characters throughout the video. I do enjoy swatting several flies at once. Realms of Ancient War supports two player local co-op. Not ideal, but that should work for the couch crowd. 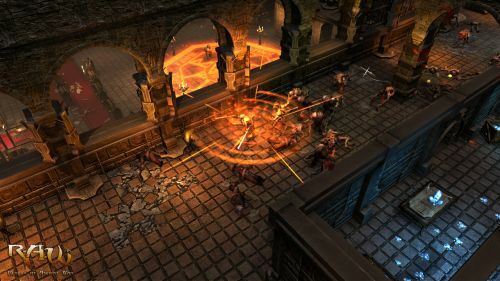 It has a $10 price point and is scheduled for a September release on the Xbox Live Arcade, PlayStation Network and PC. You can see more R.A.W. coverage from E3 2012 right here. Page created in 0.2884 seconds.